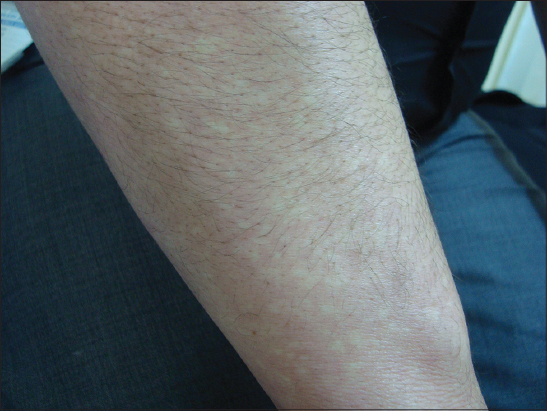 Also called as physiologic anemic macules, Bier spots are small, hypopigmented irregularly shaped macules against a background of diffuse erythema, which creates an appearance of speckled vascular mottling of the skin. Bier spots most commonly appear on distal portions of the limbs though there are case reports describing diffuse involvement, which also affect trunk and mucous membranes of the patient. Although the exact pathophysiological mechanisms underlying Bier spots still need to be elucidated, Bier spots have been suggested to be a vascular anomaly caused by vasoconstriction of small vessels. In addition, several diseases have been proposed to be associated with Bier spots, including scleroderma renal crisis, cryoglobulinemia, Peutz-Jeghers syndrome, alopecia areata and hypoplasia of the aorta, although it has not been shown whether these associations are casual or coincidental. The clinical presentation of Bier spots is quite typical. These tiny whitish macules easily become prominent when the affected limb is placed in a dependent position and fade away when the limb is raised. Here we report a case of Bier spots in a 32-year-old male patient with characteristical clinical manifestations. Bier spots are asymptomatic small, whitish irregularly shaped macules on a background of diffuse erythema, which is tought to be an exaggerated but normal physiological vasoconstrictive response of small vessels to venous congestion [1–7]. It usually affects young adults, more commonly women than men [1,4] and appears to be seen worldwide, in that no racial or ethnic predominance has been reported . Here, we report a 32-year-old male patient with typical clinical presentations of Bier spots. A 32-year-old male patient came to our outpatient clinic with a history of six months of white spots appearing on distal parts of his limbs. His past medical and family history were unremarkable. Systemic examination of the patient was insignificant. Upon dermatological examination on the distal portions of the extremities, we observed multiple whitish macules, several milimeters in size, intermingling with erythrocyanosis of the affected part (Figs 1 – 4). 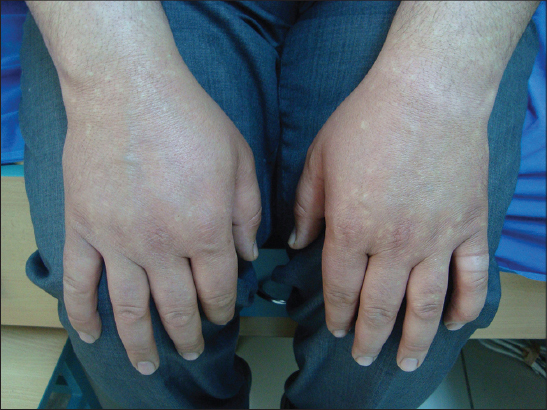 Both flexor and extansor surfaces were affected and the lesions were more pronounced on upper extremities. Lesions became indistinguishable on diascopy (Fig. 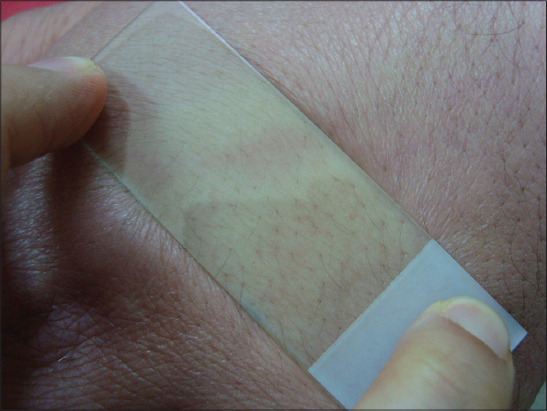 5 while dermoscopy provided closer view of eythematous and adjacent blanched white areas (Fig. 6). 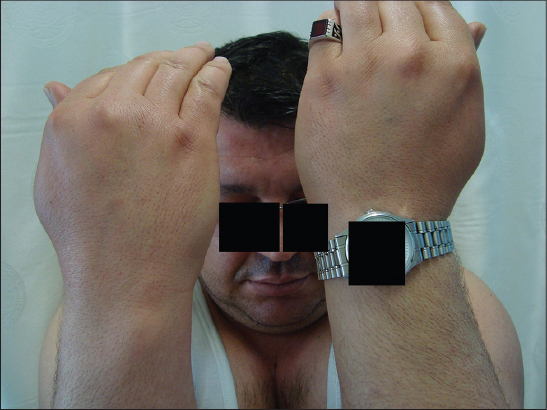 In addition, when the patient raised his upper extremities above his head, lesions disappeared almost immediately (Fig. 7). Laboratory studies including complete blood count and differential, erythrocyte sedimentation rate, serum chemistry profile, thyroid panel, coagulation profile, urinalysis, C-reactive protein levels, complement levels, immunoglobulin levels and cryoglobulin levels were within normal limits. Anti-nuclear antibodies, antiphospholipid antibodies, rheumatoid factor, proteins C and S were negative. Bilateral upper and lower extremity arterial and venous doppler ultrasonography did not reveal any evidence of pathology. Based on history, clinical, laboratory and ultrasonography findings we made a diagnosis of spontaneous Bier spots and the patient taken under follow-up. 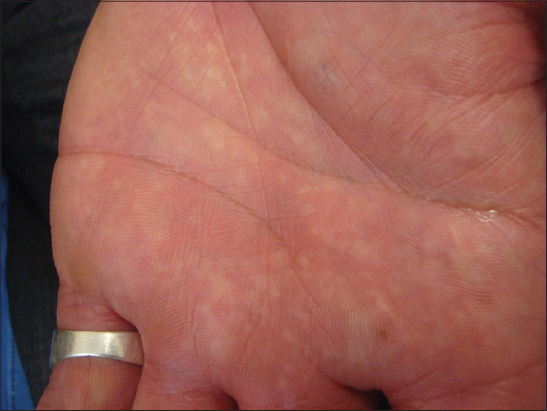 Figure 1: Several scattered white macules within areas of vascular mottling on dorsal surfaces of hands in the dependent position of upper extremities. Figure 3: Marked vascular motling on left palmar area. Figure 4: Vascular motling in closer view. Figure 5: Disappearance of the lesions on diascopy. 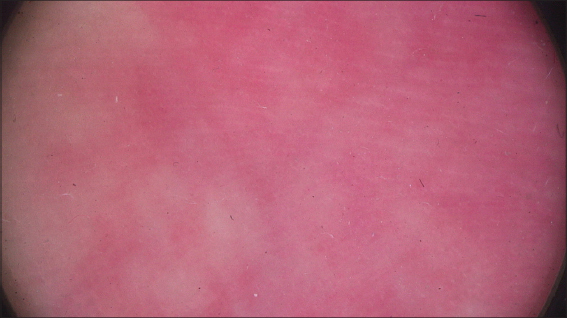 Figure 6: Dermoscopic view (Molemax, ×30). Figure 7: Disappearance of the lesions with limb elevation. First described in 1898 by Bier , Bier spots are asymptomatic pale macules on a background of erythema [1,4,7,9–11]. 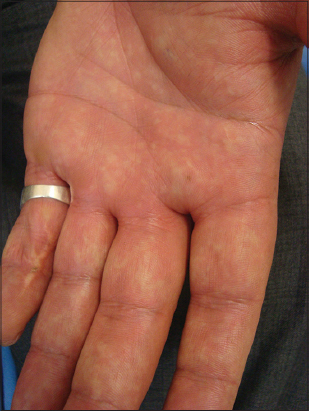 The clinical presentation of Bier spots is unique with typical inducible and reproducible pale macules, several milimeters in size, scattered over dorsal surfaces of extremities in a speckled/mottled appearance. Typically, lesions are visible when the affected limb is put in a dependent position and disappear when the limb is raised. [5–7,9,10,12] Although Bier spots have been regarded to be a vascular anomaly with vasoconstriction in the paler areas, diascopy, which is an useful and simple technique to evaluate vasodilatation, may be also effective to confirm the diagnosis of Bier spots. Like nevus anemicus, when diascopy is performed, the lesions become indistinguishable from the surrounding skin, since the irregular borders of lesions blanches [4,7]. 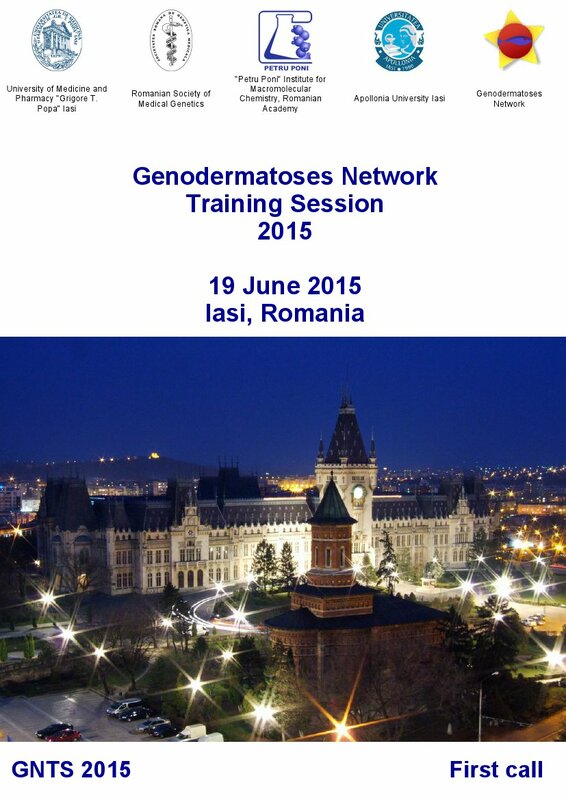 What are the causes and the reason why Bier spots develop have not been fully elucidated yet. 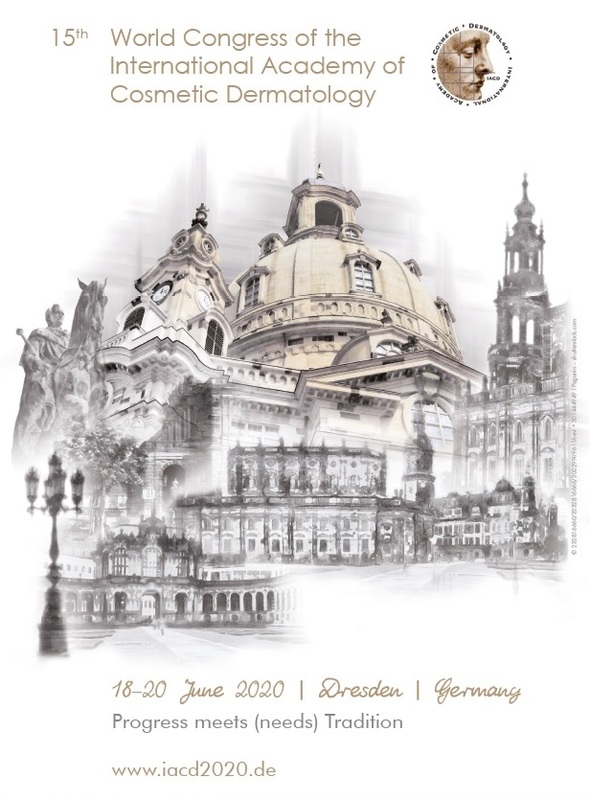 However, a wide range of conditions have been reported to be associated with Bier spots, including pregnancy , scleroderma renal crisis , cryoglobulinaemia , aortic hypoplasia , coarctation of aorta , lower extremity lymphedema , Peutz-Jeghers syndrome, alopecia areata and lichen palnus [7,9]. Moreover, a rare syndrome, Marshall–White syndrome, was described in 1965, which includes Bier spots in conjunction with insomnia and tachycardia . It has been suggested that the pathogenetic mechanism underlying Bier spots is exaggerated vasoconstrictive response within arterioles to tissue hypoxia [2,3,6,9] and causative factors leading to tissue hypoxia have been proposed to be hyperviscosity , venous  and lymphatic  hypertension. However, we think that it is unclear why some individuals develop Bier spots. It has to be clarified whether those aforementioned associations are coincidental or represent a cause and effect relationship or Bier spots are simply develop as a clinical manifestation of exaggerated physiologic vasoconstrictive response. Here, we report a case of Bier spots in a 32-year-old male patient. We did not find any evidence of underlying conditions, which may cause Bier spots, thus we suggest that our patient represents a case of spontaneous Bier spots. However, as far as we know, Bier spots more commonly appear on the extansor surfaces than the flexor surfaces of the extremities [1,7,9,12] and involvement of palmoplantar area is occasional [4,5,15]. Therefore, since both flexor and extansor surfaces, also palmoplantar areas were involved in our patient, we think that our case is an example of noteworthy presentation of Bier spots. Moreover, to the best of our knowledge, we report herein the first case in the literature describing both the diascopic and dermoscopic examination of Bier spots. 1. 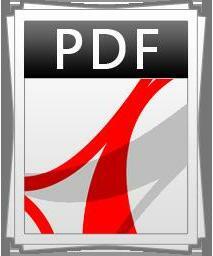 Fan YM, Yang YP, Li W, Li SF, Bier spots: six case reportsJ Am Acad Dermatol 2009; 61: e11-2. 2. Collier JG, Dernhorst AC, Bier’s spots: evidence that they are mediated by an intravascular vasoconstrictor substanceJ Physiol 1970; 209: 12-e3. 3. Wilkin JK, Marin H, Bier’s spots reconsidered: a tale of two sports, with speculation on a humerus veinJ Am Acad Dermatol 1986; 14: 411-9. 4. Mahajan VK, Khatri G, Singh R, Chauhan PS, Mehta KS, Bier spots: An uncommon cause of mottled skinIndian Dermatol Online J 2015; 6: 128-9. 5. Heller M, Diffuse Bier spotsDermatol Online J 2005; 11: 2. 6. Tey HL, Spontaneous Bier’s spotsAustralas J Dermatol 2008; 49: 61-2. 7. Tunca M, Caliskan E, Erbil H, Akar A, Bier spots in two childrenPediatr Dermatol 2011; 28: 581-3. 8. Bier A, Die Entstehung des Kollateralkreislaufs, II: Der Rückfluss des Blutes. aus ischämischen KorpertheilenArch Pathol Anat 1898; 153: 306-334. 9. Dean SM, Zirwas M, Bier spots are an under-recognized cutaneous manifestation of lower extremity lymphedema: a case series and brief review of the literatureAnn Vasc Surg 2014; 28: 1935-e13-6. 10. Grosshans E, Multiple anemic macules or Bier’s spots?Dermatology 2001; 202: 272. 11. Khera P, English JC, 3rdPhysiologic anemic maculesCutis 2008; 81: 477-8. 12. Liaw FY, Chiang CP, Bier spotsCMAJ 2013; 185: E304. 13. Schoenlaub P, Dupre D, Redon JY, Plantin P, Numerous and large Bier’s spots associated with pregnancyEur J Dermatol 1999; 9: 230-e1. 14. Peyrot I, Boulinguez S, Sparsa A, Le Meur Y, Bonnetblanc JM, Bedane C, Bier’s white sports associated with scleroderma renal crisisClin Exp Dermatol 2007; 32: 165-e7. 15. Bessis D, Dereure O, Rivire S, Ravi N, Le Quellec A, Guilhou JJ, Diffuse Bier white spots revealing cryoglobulinaemiaBr J Dermatol 2002; 146: 921-922. 16. 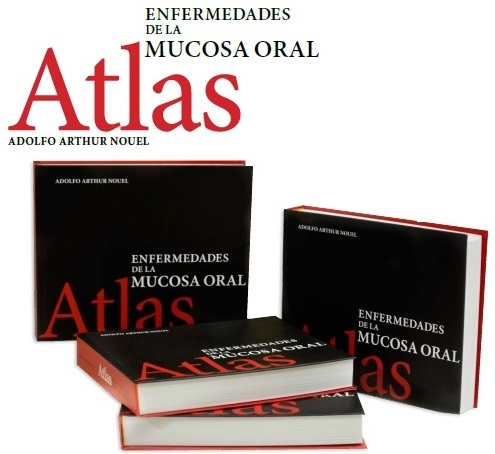 Cabanillas M, Suarez-Amor O, Loureiro M, Ginarte M, Toribio J, Bier’s spots in association with hypoplasia of the aortaDermatology 2007; 215: 166-e7. 17. Pearson IC, Holden CA, Delayed presentation of persistent unilateral cutaneous mottling of the arm following coarctation of the aortaBr J Dermatol 2003; 148: 1066-e8. 18. White CJ, Marshall W, Kwong LH, Marshall-White syndrome: Evidence of vasomotor conflict in a particularly severe caseJ Med Assoc State Ala 1965; 34: 249-51.